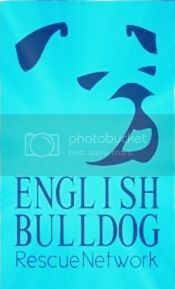 Welcome to English Bulldog Rescue of Houston! Thank you for stopping by and taking the time to learn more about our rescue and of course, the bulldogs. It is our mission to save as many bulldogs as possible, and with a group of dedicated fosters across the Houston area, we are able to save many dogs each year. Each dog comes in with a different background and sometimes we never know what he or she has been through before entering our care. Many dogs are either turned into a shelter as a stray or surrendered by their owner. 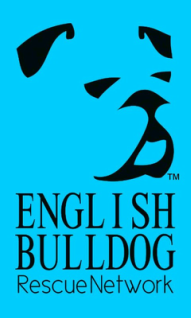 When a bulldog comes into EBRN the first priority is to evaluate it and determine what the immediate vetting needs are and decide which foster home the dog would be best suited in. We decide if the dog may or may not be good around children, dog or cat aggressive, food aggressive or just simply need to be in a foster home that can devote more time and attention to help meet his or her needs. Our rescue is operated on a voluntary basis. We rely heavily on the donations and time given by others to help our operation run smoothly. Your donation will always go 100% towards the treatment of any bulldog we have in rescue at that time. Some of the treatments that are most commonly needed are heart worm tests, spay/neuter, vaccinations, and medications. EBRN is a 501(c)(3) organization and if you would like to make a tax deductible donation, please follow the link provided. We greatly appreciate any donation you are able to make. Every dollar counts and we strive to give each and every bully the best possible care.